I blogged about this lovely accent pillow a few weeks ago after a trip to the Vegas Market and everyone seemed to fall in love with it (including me)! Due to the overwhelming response of comments and emails, we've added it to our shop for you to purchase now. Please note that it will not be available for shipping until late March / early April, but judging by the positive response, this is going to be one HOT seller. Pre-order yours by today or tomorrow and save 10% off*! Use discount code Peacock10 upon checkout to redeem. 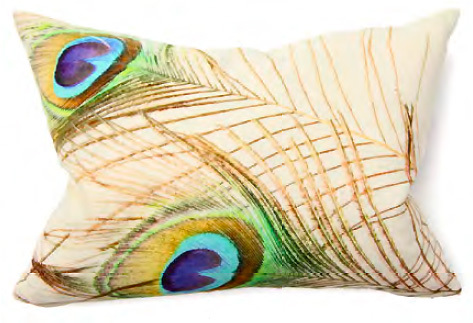 (*offer only valid on the Peacock Print Pillow and may not be combined with any other offer. Valid through Sunday, 2/20/11). 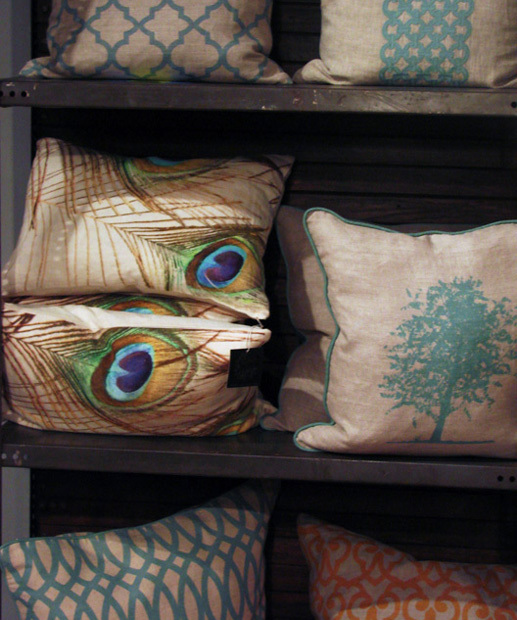 Love that pillow! great addition! Congratulations on this latest addition, Julie...the peacock feather print is just too realistic...at first glance I thought it was the real thing!! ADORABLE. i love a peacock feather. Peocock pillow looks so sweet,These are really a eye catching post ..wanna have couple of those stuffs in my bedroom coz its so romantic!!! 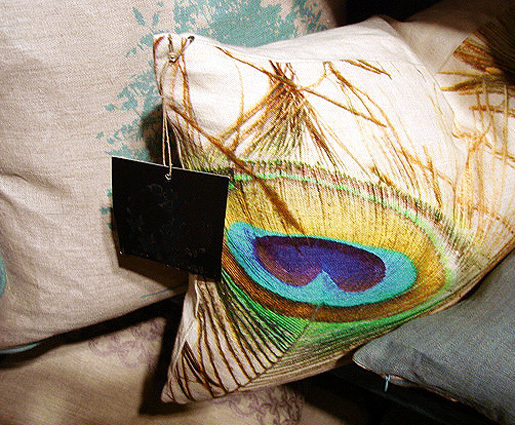 http://www.vivamagonline.com the peacock feather print gives a beautifull sight!! !